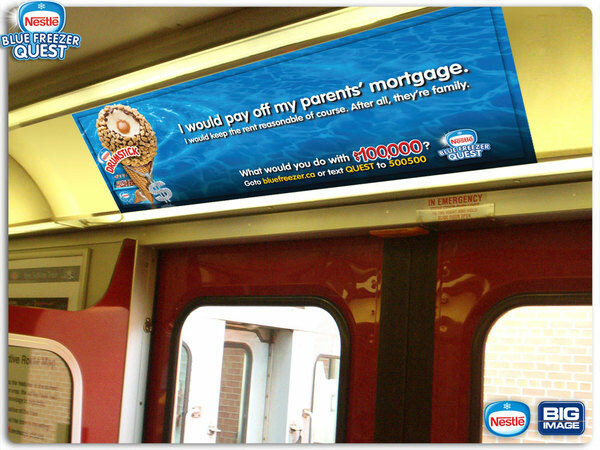 Outdoor transit ads for The Blue Freezer Quest. A Nestlé Drumstick promotion where consumers have a chance at winning $100,000. I wrote the copy for this series of subway ads. Targeted at young student commuters. "What would you do with $100,000?"